A band of House Democrats determined to oppose House Minority Leader Nancy Pelosi's speaker bid are planning to release a signed letter as soon as this week indicating that they have gathered enough support to deny her the 218 votes needed to win the gavel on the House floor in January, a move they say would complicate her path to a second term as speaker and force renewed discussion about her stepping aside. "This is a simple letter saying we want new leadership, which is what a vast majority of Democrats and the American people want," Rep. Seth Moulton, D-Mass., a member of the group, told reporters Tuesday. 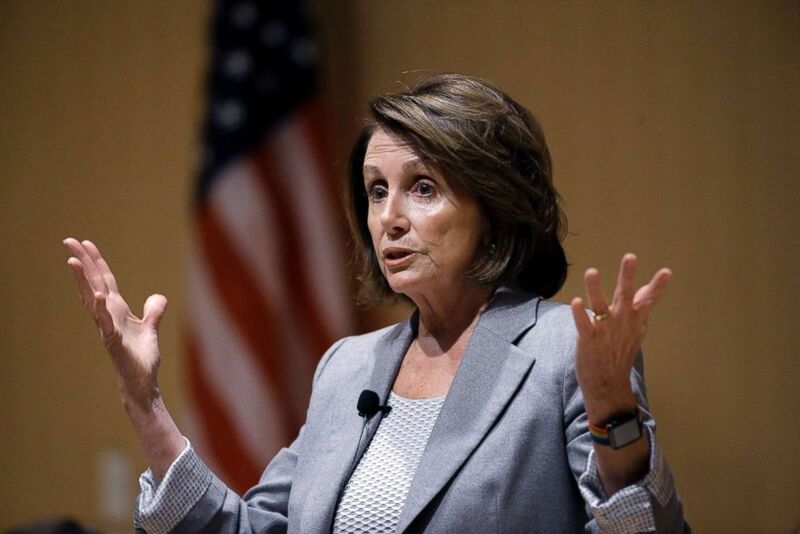 Pelosi, who has said she's "100 percent confident" that she will be the next House speaker, has been working since last week on her bid, meeting and talking with new members and incumbent Democrats, to shore up support. House Minority Leader Nancy Pelosi of Calif., speaks during a town hall-style meeting, Feb. 1, 2018, at the Cambridge Public Library, in Cambridge, Mass. Prominent Democrats outside of Washington D.C. – from New York Gov. Andrew Cuomo and Pennsylvania Gov. Tom Wolf, to former Sen. John Kerry and former Vice President Al Gore – have been making calls on her behalf, and influential House Democrats and activists have provided a steady drumbeat of public endorsements. But Pelosi's critics argue that she has an increasingly apparent math problem. While she's expected to lock up the caucus speaker vote with a majority of members on Nov. 28, they're hoping to publicly release their letter before that vote to hammer their point home. "It's time for a change," Rep. Filemon Vela, D-Texas, who is opposed to Pelosi, told ABC News. "It's time for new blood." ABC News has identified at least 14 sitting Democrats and incoming members who have vowed to oppose Pelosi on the House floor. Sources involved in the effort say that number has grown to at least 20 members, with many more incoming Democrats undecided. Pelosi can only afford to lose six votes – a number that could grow to 14 if Democrats win the eight House races yet to be called. "The whole point of the letter is to accelerate this process so that it doesn’t spill out onto the floor. She’s the one that is driving this to a floor vote. We want to make it clear before it comes to that that she should step aside," Moulton said. Pelosi's allies say the California Democrat – a veteran of countless leadership battles and whipping efforts – is working methodically to line up the votes. Her team is listening to incoming members and sitting Democrats about their priorities and desired changes to rules governing the House floor, and believe there is still a path for her to reach 218 – or a majority of House members present and voting – on the House floor. "I think she'll navigate it," Rep. Cheri Bustos, D-Ill., a rising star in the party who is running for a lower-level post, said Tuesday. "She's a smart woman." 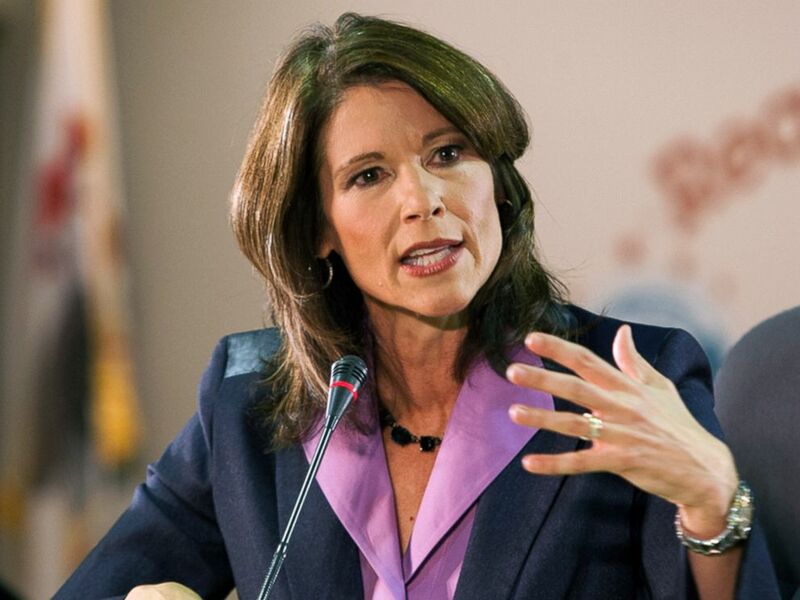 In this Oct. 17, 2012 file photo, U.S. Rep. Cheri Bustos, D-Ill., speaks in Rockford, Ill.
One option her allies are exploring is tinkering with the threshold she needs to clinch the gavel: Pelosi can win on the floor with less than 218 votes if she can convince her critics not to vote, or vote "present," instead of for her or another candidate. They are also making the case to incoming members that voting against her in caucus but for her on the floor (in support of the caucus recommendation) will provide them with sufficient cover for their re-election races. House Minority Leader Nancy Pelosi speaks during the Polk County Democrats Spring Dinner, May 6, 2018, in Des Moines, Iowa. 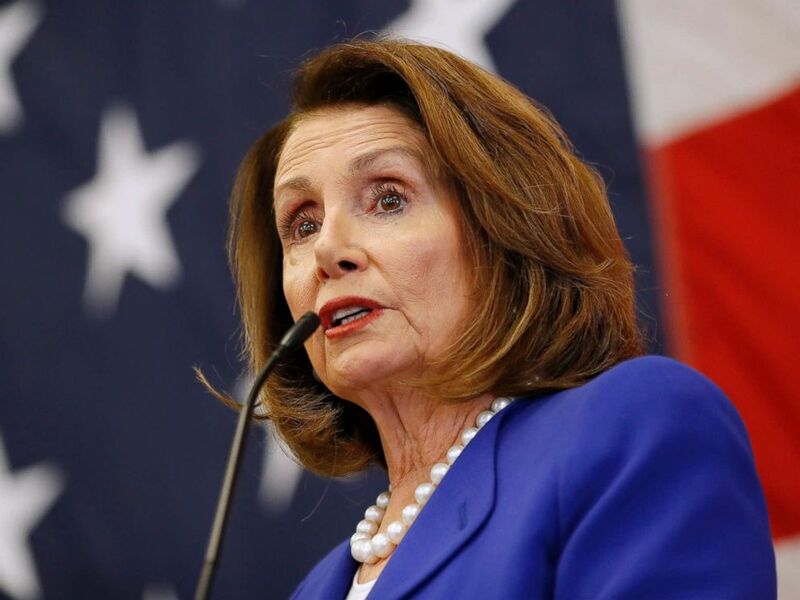 Pelosi's allies have also been quick to criticize the group vowing to block her as working to derail the will of the majority of House Democrats, and have ridiculed the group for not being able to find a candidate to challenge her for speaker head-on. "If they’re foolish enough to sign their names to a letter when they don't have to, when they don’t know whether Pelosi is going to win or lose, and when they don’t even have a candidate to oppose her, then it doesn’t bode well for their leadership if they succeed," a Pelosi confidant told ABC News. But Pelosi's critics say they don't need a candidate of their own to challenge her. "There’s a very practical political reason why no one has come out. They don’t want to alienate Pelosi supporters. So it only makes sense from a political perspective that a new candidate steps up after it’s clear that she doesn’t have the votes," Moulton, who said he is not seeking to replace Pelosi, told reporters Tuesday. Meanwhile, Pelosi's outreach continues. She's mixed and mingled with new members during their orientation in Washington, and has plans to meet with leaders of the Progressive Caucus and members of the Congressional Black Caucus late this week. On Wednesday, the Democratic caucus will meet for the first time as a group since the Election Day victory, huddling in their meeting room in the basement of the Capitol with new members and tentative plans to discuss some of rule changes sought by Pelosi's critics.